The Formula One circus descends on Monaco this weekend as the perennial street circuit plays host to perhaps the most prestigious event on the calendar. The drivers face a fresh challenge this year with the narrow, barrier lined circuit offering a rejuvenating challenge - given the fresh dimensions of this years cars. Measuring 2metres, rather than 1.8m, for the first time since 1997 the drivers will have to push ever closer to the Armco barriers as they go in search of the perfect lap. Thanks to Formula One Management for their more engaging use of social media this season we can see just how close the drivers are to the barriers as they try to tiptoe around the famous Monégasque surroundings. Martini - already sponsoring Williams Racing this season and embodying the spirit of Monaco's party lifestyle have opted to recreate an advertisement that caused a stir back in 2009. Their billboard - featuring model Jessiqa Pace (above), was installed high up on the wall exiting the Grand Hotel hairpin (or Loews Hairpin for those of us that remember it as such). Drivers, including eventual race winner Jenson Button, complained that the poster was distracting, tantamount to someone staring into their soul as they braved the twisty, undulating section of the Monte Carlo track. The large advertising space has been home to numerous household names down the years as it resides at one of the slowest points on the circuit, giving maximum exposure as the drivers flash by it lap-by-lap and the image is beamed around the world to the millions of fans watching on TV. 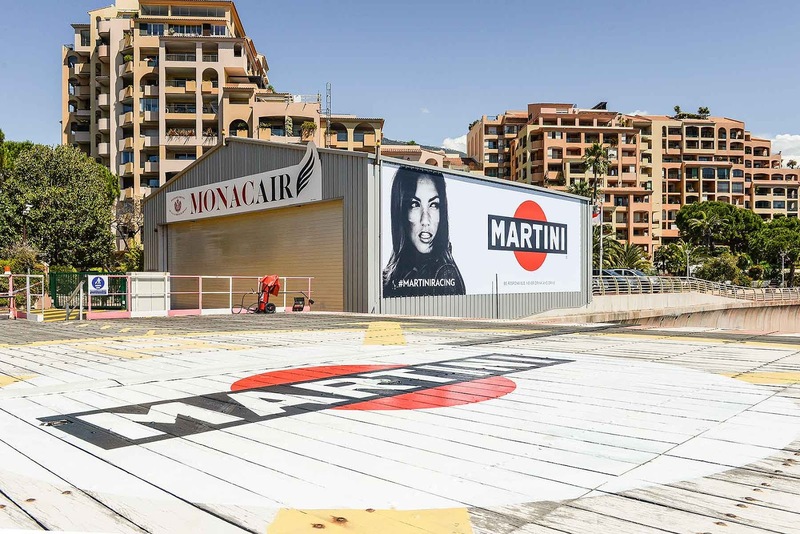 To save their blushes Martini have opted to recreate but also relocate the advertising hoarding this weekend, with the local heliport now home to the infamous poster. So, if you're flying in for some glitz and glamour be aware, you might get distracted on your way down.